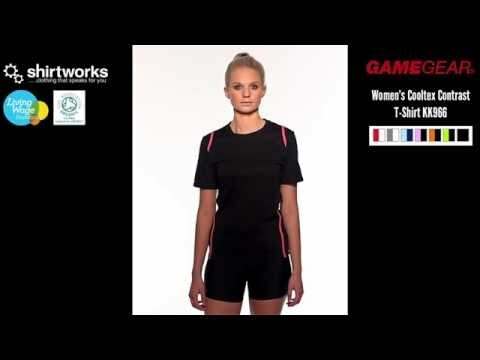 This Gamegear Women’s Cooltex Contrast T-Shirt KK966 is 100% polyester with Cooltex wicking properties. It features a continuous contrasting stripe from the front of each shoulder, going up and over the shoulder, to the back, and then curves around underneath the arm, finishing at the front lower hemline. It is a fitted style and has a curved back hemline.